Well I've had my iPad for close to 2 weeks. I'd like to post my thoughts now that I've had the time to use it in a number of real world situations. I also plan to discuss iPad's potential and how it may well reshape computing as we know it. 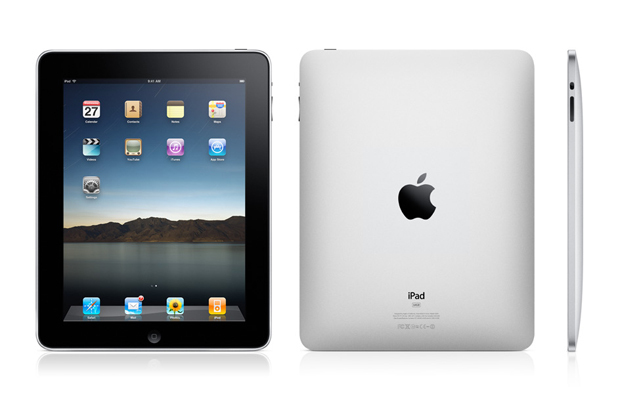 There is an iPad user who is trying to go "cold turkey" and you can read his blog at ipadalone.com. I am not trying to go "cold turkey" but I am trying to get my iPad to function well enough to allow me to sell off my Ubuntu 9.x Acer Aspire One netbook and function with only my Macbook on my desk and my iPad everywhere else. There are dozens if not hundreds of iPad reviews up around the internet. I stumbled across iPad reviews by a couple of users who love to read: One is here and another is here. More recently (May 4th), I ran across a review by Mitch Wagner at Computerworld. He tried to leave his notebook at home and carry only the iPad on a business trip. His experience of iPad's limitations was not unlike mine. More here. I'll start with the conclusion and you can read on for details if you like. Ipad is a media consumption device. You can read ebooks, watch movies, listen to music and play games. iPad is able to run useful applications originally released for iPhone, but they run either in a tiny box or in a rather awkward looking "2x" mode. I mainly have native iPad apps on my device but I do have a few iPhone apps I simply couldn't do without. 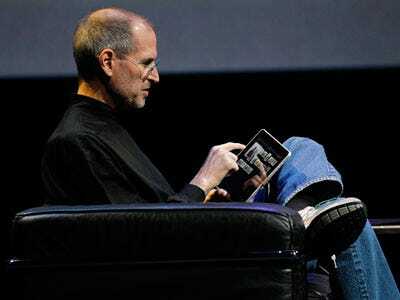 Steve Jobs said the iPad is magical. In some ways it really is. The ability to ditch the keyboard and interact only with a 1024 x 768 screen that has long battery life is something you have got to try to fully understand it. Is browsing on the iPad better than on a laptop? Most of the time, the answer is yes. However, there are some sites that call for features (like drag and drop inside the browser) that are best handled with a mouse and iPad is unable to support those features at this time. 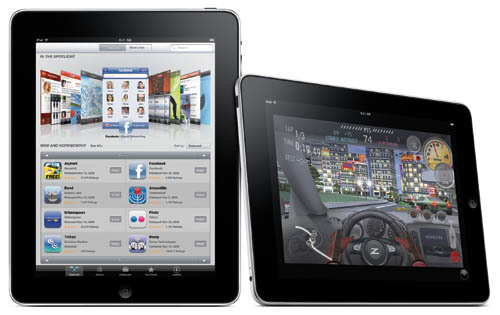 Applications are an integral part of the iPad experience. There are several thousand iPad apps. Already more than for Blackberry or for webOS and it's only been on the market 2 weeks. Impressive. Then there are 180,000+ iPod apps that can "fill in the gaps" to bring capabilities to iPad until native apps become available. The size and weight of the iPad is simply wonderful. I love walking around with something that weighs slightly more than a legal pad, is the same size and allows me (if I wanted to) to carry all of the notes from all of the classes I've ever taken. I believe that we are finally seeing the end of the "L shaped" notebook that we have all been chained to for too long. Of course there are limitations on a first gen device, especially when its OS is traditionally targeted at phones. The most glaring limitation (for me) is file management. I don't want to have to plug in the USB cable to get files on and off my iPad. The other alternative? Email. I must email things back and forth to myself to get them on and off the iPad wirelessly. There are some third party workarounds but they are limited to ftp, webdav and http protocols. iPad refuses to participate in SMB (windows) or AFP (Mac) file sharing. Another limitation is the touchscreen and the browser. It means you never have ctrl-shift. With today's implementation, you can never drag and drop. This means that you cannot rearrange blocks in Drupal admin. The rich text editors for Wordpress and Drupal do not work with the iPad. Google Reader presents feeds differently on the iPad than on the desktop. Update: It is possible to get the desktop appearance for google reader by changing a setting from "mobile" view to "desktop" view. That really helps for my preferred method of reading feeds as one long list and having them automatically marked read as I scroll by them. The walled garden of the Apple app store is another limitation. I cannot run StyleTap without jailbreaking, not that I would want to, I'm just saying. Memory. I'm not sure how Apple decided to only put 256 meg on the iPad but it seems inadequate, especially when I consider that multitasking is coming. On screen keyboard. I find myself getting pretty frustrated typing on the iPad. I use a Bluetooth keyboard for any lengthy typing. The on screen keyboard registers unintended keystrokes if idle fingers get too close. It's difficult to get used to. Perhaps after weeks of use I can get better at it but right now it's pretty frustrating. Would you rather be carrying the machine on the left above or the one on the right? I'll take the iPad. Five years from now everybody will take the iPad even if they don't know it yet. iPad is the first in a wave of computers in the thin tablet form factor. Our daughter has an hp tablet forced upon us by windows-loving IT folks at her school. She hates it. It weighs close to 8 pounds with the extended battery. It has had to be repaired countless times and she is a freshman! Just this morning, she asked me if she could have a Macbook. Now that Apple has joined the tablet party, others are running in. 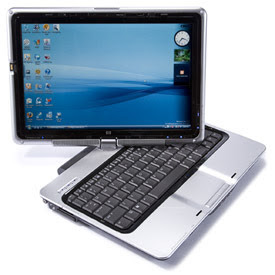 There will be Windows 7 thin and light tablets, unlike those heavy HP dinosaurs. There will be Android tablets. There will be Linux tablets. I bought my iPad on Day 1. 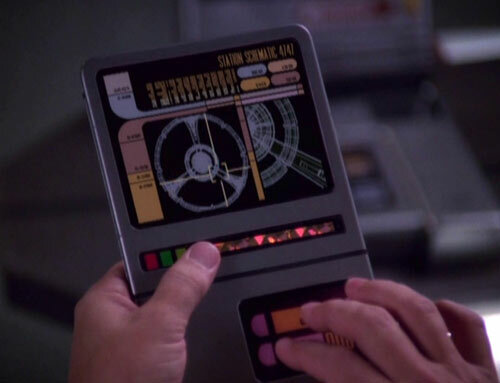 Just as Star Trek (original series) brought us the Motorola Flip Phone form factor, I have been wanting a computer in this form factor ever since seeing John Luc Picard use one on Star Trek Next Generation. I was near the front of the line on launch day. And the lines weren't too long. It seems the haters were out in force in the tech blogs ranting about how the iPad is "just a giant iPod touch". No. The iPod touch is a teeny weeny iPad. I had also bought a Mac Mini on day 1. It, (along with the iMac) spelled the end of the microwave oven size desktop computer (finally!). With the iPad, the future of portable computing has arrived and I'm glad to be in on the ground floor. I'll take my lumps with the quirks and keep on going and I'll probably be able to sell my iPad quite easily when it's time to upgrade. In fact, the time to upgrade may have already arrived. I went in iTunes to look at movie selections and I can pick up Avatar for $14.99. I also saw the Lord of the Rings trilogy for $14.99. Wow. But LOTR takes up 8 gig and I have a 16 gig iPad. I might be returning mine tomorrow for a 64 gig model. The killer app that brought me to the iPad was ebook reading. I found that there is a lot more potential for this platform and I wouldn't be surprised if iPad (and other tablet) sales surpass netbook sales in a couple of years. I expect iPad to dominate the tablet market for years to come as It will be difficult for other solutions tocompete well with the responsiveness and ease of use of the iPad at the same price point.